So what have caught our editor’s eye this time? X-as-a-Service – it has made its way into most areas of financial services and commerce, to the delight of some and dismay of others. It is seen as a reflection of today’s economic necessities (aka cost cutting), maturity of the relevant technology and security around it, and a cultural shift in how business is done. A lively discussion on the subject was held at the recent Insights EMEA event in London held by D+H Corporation (formerly Fundtech). Payments-as-a-Service is something more and more corporate banks are considering – but turns out many don’t know how to bundle this offering, what the target market is and what value they can offer/derive. First of all, it is a great opportunity for banks to become more relevant to their customers, said Accenture’s MD, Thomas Sontheimer. But… it might be more about reducing the costs than increasing the revenue, so if the revenue is what you are after, think twice before launching the service to avoid disappointment! Be prepared on the technology and operations sides. “Standardisation is key and cornerstone” of a successful Payment-as-a-Service offering, advised Daniele Savare, head of product line cash management, Unicredit. Needless to say, “having a clean, regulated back office system is mandatory”, added Jonathan Parker, VP, global corporate banking at Santander. Find your niche and be clear on your target market, was the advice from Stephanie Zee, TTS global payments regulatory head at Citi. In the next three to five years, there will be more payments types, they will get faster and so will clearing, she said. So the opportunities are there. It is just crystallising the strategy of what to offer and whom to. Sensible and practical sentiments – and if you missed the event we hope these highlights are worth your read. But if the world of corporate banking is not your thing, then why not check out our key takeaways from Money 20/20 Europe, a buzzing new conference about all things fintech and innovation? Or perhaps you are more interested in a more down-to-earth subject of financial messaging data – then we’ve got some excellent tips on how to turn it into business profit. Or maybe your bank is pondering a social media strategy (quite possibly with trepidation!) – in that case, may we point you to our light-hearted “Letter of the Month” that dispels fears of social media and offers easy practical advice on how to get it right. Payment Services Directive II (PSD II): the devil is in the detail. We examine that detail. Modernise or bust: who’s doing what in the UK’s credit union space and to what extent? 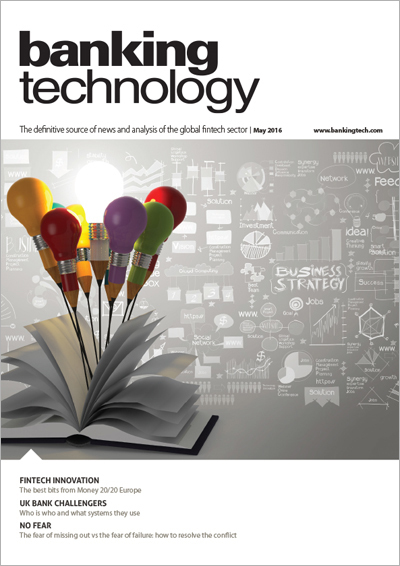 We did all the legwork on the latest in ntech innovation, so you don’t have to. “We provide the engine, you build the car.” 100 million cards are managed by TAS Group today. With great power comes great responsibility… and the need for automation. And there is nifty infographics too! Dear banks, social media doesn’t have to be scary. UK bank challengers: who’s who? Hopefuls and their technology profiled. All you need to know in a comprehensive summary. Blockchain, the rise of fintechs, Brexit and more. The fear of missing out and the fear of failure: how to resolve the conflict. How to turn financial messaging data into business profit. Comments – outspoken and opinionated.